You may have read our Best AR-15: Complete Buyer’s Guide article (and if you haven’t, you should!) and while all of those rifles are outstanding, some of them deserve a closer look. Number three on that list is the LWRCI’s DI (direct impingement). It is an outstanding rifle, packed with features, and has won the NRA Golden Bullseye Award in 2016 and 2017. I had never fired an LWRCI rifle before and wanted to test the DI out to see if it merited the price tag, reputation, and our ranking. LWRCI DI Rifle. Love that spiral fluted barrel. The short answer is YES but read on if you’d like to know more. With a flooded AR-15 market it must be difficult to stand out—yet, LWRCI has established a reputation for manufacturing top-end- feature-rich rifles. 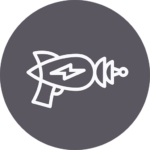 The company routinely is listed on the “top AR manufacturer” list and they do this consistently by building quality products at an affordable price when you factor in the features. When LWRCI sent the rifle to Liberty Firearms Institute, I picked it up with anticipation. It arrived in a burnt bronze Cerakote and I felt somewhat betrayed at first, my loyalty to black intact. My local dealer mentioned something interesting, that he has friends serving with private military contractors (PMC) overseas and he told me those friends love their LWRCI rifles, the DI in particular. It’s funny, you never know where you might find inspiration. The contractor tidbit struck me with a good idea. Those guys are working in some tough conditions so I would test the rifle out accordingly. One portion would need to be accuracy but the other could be for close up work. I called my buddy Imri and set up a training session. Imri Morgenstern is a former Israeli Defense Force (IDF) Special Forces operator who now teaches people an array of deadly skills from his school, Combat Force Academy outside Denver, CO. As a Master Breacher, he has done a lot of CQB. I spent a day with him wringing out the LWRCI DI. We worked many different drills: barricades, corners, multiple targets, reloads, and other tasks designed to put me through my paces. The DI handled all this and more with aplomb. The only malfunctions were caused by me, inserting an overfull mag on a closed bolt. I used a Vortex Spitfire 1x as the go-to optic for this portion of the testing. 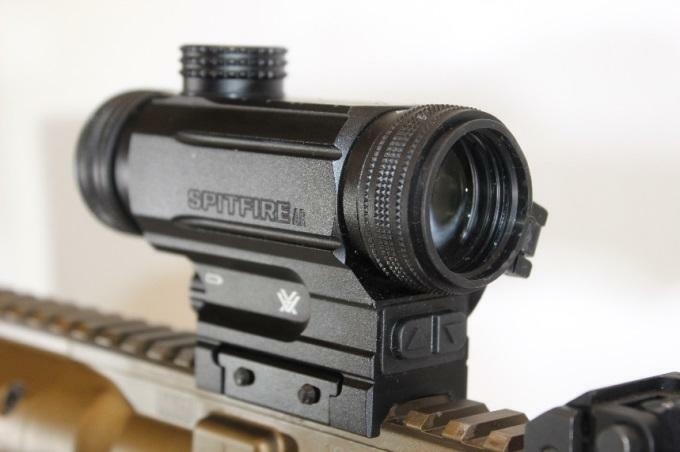 The 1x has an etched, black, reticle with red or green light-up options too. 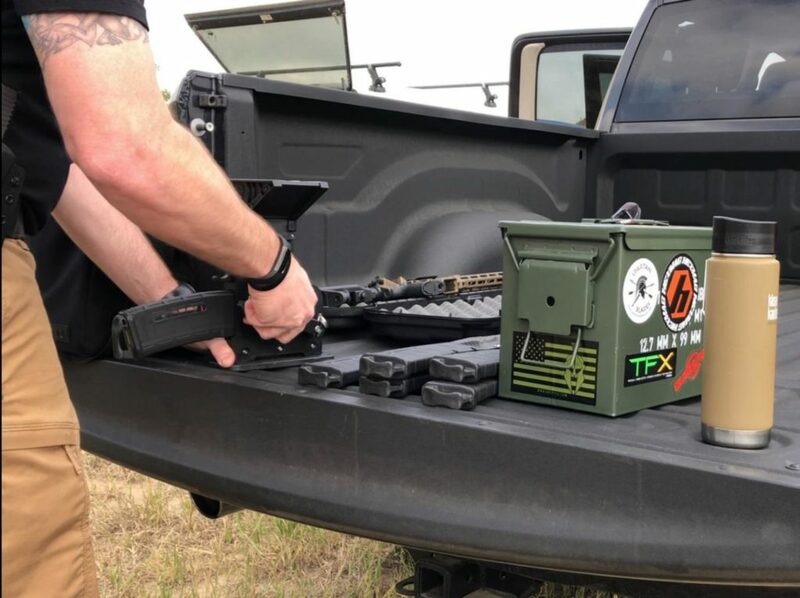 The unit is designed specifically for AR-15s and it is tough. Using the Spitfire, I was able to quickly acquire targets and keep both eyes open for better situational awareness. Throughout the training exercises, the LWRCI performed flawlessly. We had a bit of rain at the outdoor range. Despite the gun getting wet, muddy, and covered in carbon, it kept shooting. I would shoot the rifle until empty then break for reloads. The MagPump (for AR-15s) was perfect for keeping me training, 500 rounds went by in no time at all. Rotating through six magazines I was able to keep my reload breaks short. The DI managed tight corners easily and transitioned between targets well. A lightweight and compact handguard made the overall maneuverability a pleasure. Together with the easy handling coupled with the reliability in less than ideal conditions had me realizing why the PMCs were enjoying their LWRCI rifles. It Handles Well, How About Reach? With the short distance and reliability tests complete, I wanted to see how well I could shoot the DI at 100 yards. I headed out to my local outdoor range after mounting a Vortex Diamondback Tactical 4-12×40 scope. Both Hornady and Winchester were kind enough to send out some ammo for testing. I set up at the range after zeroing and slowing began chipping away at 5, five-shot groups for each ammo. Winchester provided 55-grain full metal jacket (FMJ) and Hornady sent along their Black and Frontier brands. The Hornady Black is a 62-grain FMJ, but the Frontier is a 68-grain boat tail hollow point. I was shooting from a bench using a bipod and squeeze bag. Conditions started out as ideal but a squirrelly tailwind kicked up to 15-20 MPH and may have had an effect on the final outcomes. Also, I did not clean the IC DI and the bolt was still in the same condition from the 500 + rounds used in the training. All the smallest groups averaged out to 1.46 inches at 100 yards with the smallest being Winchester at 1.22 inches. Total averages for all the groups were closer to 2 inches. Despite the wind kicking up, the Frontier Match ammo remained consistent with its smallest group coming in at 1.42 inches. The Hornady Black came in third at 1.74 inches. She’s All Show and Go! I was really impressed with this rifle. When I first saw the color, I didn’t love it, but it grew on me. Now I think it’s gorgeous. When you factor in all the features that come standard with the design aesthetics and flawless functionality of the DI, this rifle is impressive. The LWRCI DI comes with a cold-hammer-forged barrel which is fluted (those beautiful twists) and measures 16.1 inches in a 1:7-inch twist (learn more about AR-15 Twist rates!) and is capped with an A2 flash hider. You might be wondering, why a fluted barrel? Basically, it shaves off weight and allows for faster cooling of the barrel – not something that you find in a run-of-the-mill rifle. My test rifle came with a free-floated M-LOK handguard. I mounted two scopes and a few different accessories to it with no problems. The controls are all truly ambidextrous. I didn’t care for this but considering some of LWRCI’s clientele, I can understand why they would do it. A great trigger can make or break a rifle and the LWRCI’s is really good, it has the tiniest bit of creep, then snaps with an average pull weight of 6 pounds 1.3 ounces (on Lyman digital trigger gauge provided by Brownells). It also has a strong reset, I was able to hear it and really feel it. During testing, I shot approximately 700 rounds through the DI. It was filthy when I finally cleaned it, but it polished up like a gem. The bolt carrier group was largely black but shined up to a nice steel/pewter color showing LWRCI’s attention to detail for using the nickel-boron finish. 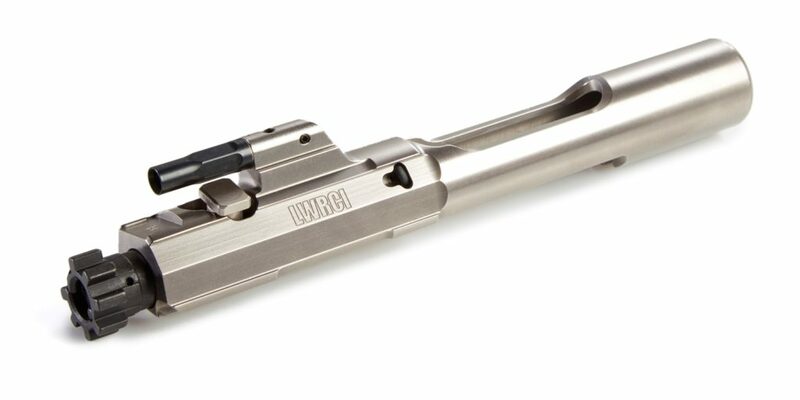 The IC DI has a proprietary LWRCI keyless bolt carrier design that is more durable and reliable. Shooters often pay a premium to reach this higher end of the market. The finishes, the Magpul furniture, free-float rail, excellent trigger and great accuracy in a pretty light-weight package (6.6 pounds) could easily cost more money than the advertised $1,500. Buying a gun like this means you get a rifle that is beautiful to behold but will run extremely well too—a combination of the best of both worlds. I prefer a longer handguard but the one on the DI is fine and I like the narrower diameter. The Magpul furniture is an excellent choice. While I don’t care for ergonomic controls, they are critical to larger bodies of people who include left-handed shooters. This is a tough call when you have factors like wind and other variables to contend with. The DI did an admirable job without the benefit of cleaning or lubrication. I suspect that it is an MOA if not sub-MOA gun when properly applied. This was impressive. Despite no maintenance during my short test, using different magazines (PMag, Hexmag, old aluminum) I had no failures to fire. As mentioned, I did not think I would like the bronze color of the rifle when I first received it. FDE is often a nightmare of never matching shades but the upper and lower on this gun are beautiful. The bronze has a metallic flake to it. Also, there is enough black on the gun that any black accessories match up just fine. Packing this many features into a rifle this affordable is a feat in and of itself. This is not a $500 AR-15. 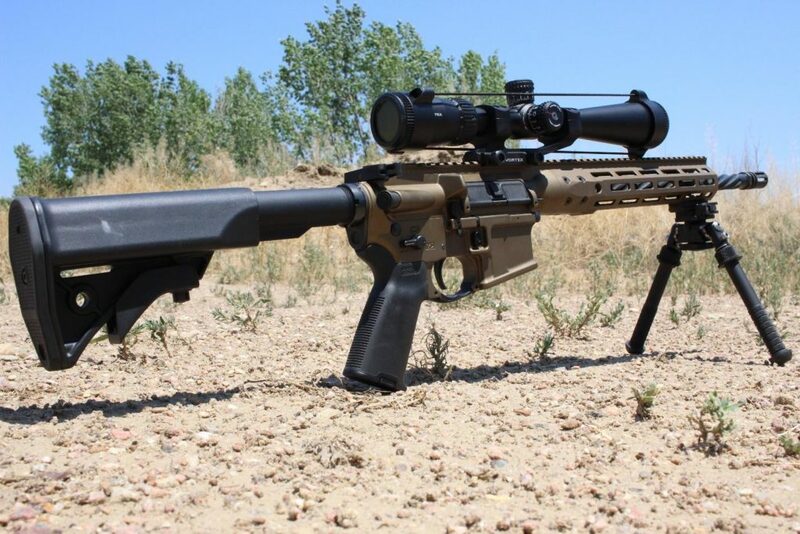 This is a rifle that is worth saving your pennies for. Quality, like Freedom, doesn’t come cheap. You get what you pay for and LWRCI has built it’s business on this premise. The DI is an outstanding rifle that is reliable and can withstand the use, abuse, and neglect of a wide range of shooters. It delivers good accuracy, is simply gorgeous to behold, and will last a very long time. Plus, it has one of the finer owner’s manuals I’ve seen in some time. This broadens the product’s, use, warnings, and maintenance appeal to a wider audience. 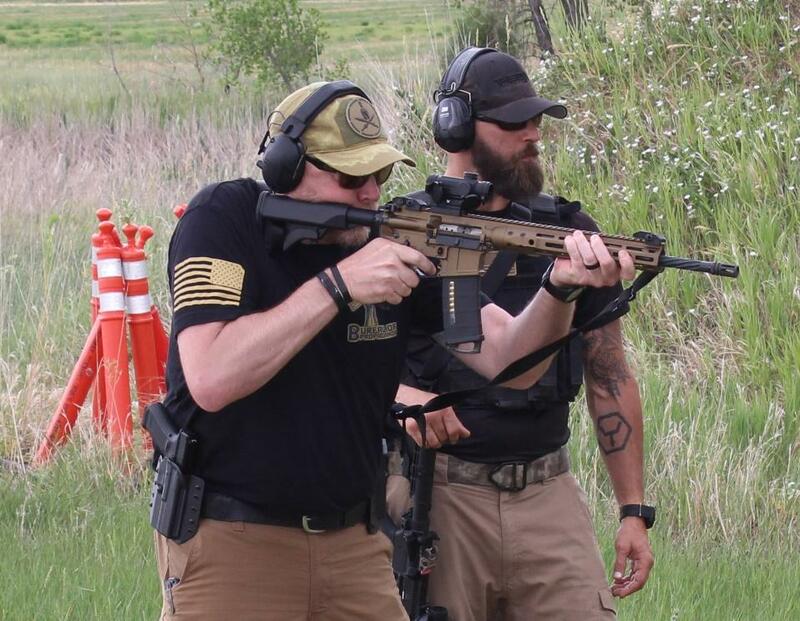 LWRC International made their name in the industry with their piston AR-15s and has cemented their place in the market with their direct-impingement rifles. 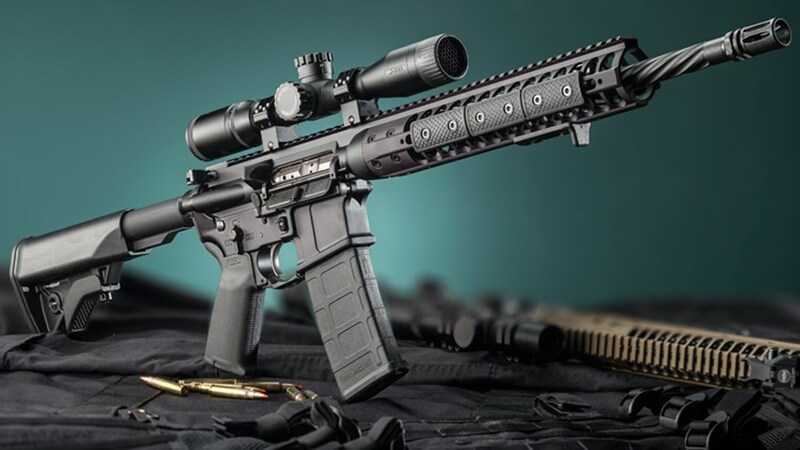 If you’re looking for a rifle that is truly warfighter quality and is packed with force-multiplying features that you can rely on – then I strongly recommend the LWRCI DI AR-15. Now it’s your turn! What you think of the LWRC DI? Do you use DI or Piston? Burnt Bronze or Tactical Black? Check out our other picks and best upgrades in AR-15: The Definitive Guide. I bought my IC DI 4 years ago and I went for the LWRC metal flip up irons and a Geissele 2 stage trigger, instead of the LWRC trigger. I had sub MOA groups at 100 yards. I had 2 or 3 cheaper AR’s and nothing comes close to the quality. I would recommend LWRC to anyone. DD vs LWRC – which one you picking up!? DoomsDay, I haven’t fired any Daniel Defense but from what I understand, they have a sterling reputation also. Considering they topped our list, and who uses them around the globe, they’ve got to be good. I think when you get into the top three it really starts getting down into personal preferences. My feelings about rifles in the price range are that they are built to go to war but probably are not any more accurate than an AR which is 2/3 the price. You get what you pay for as long as it’s run hard but as a range toy it probably has less expensive equals. Very true on the twist rates! Being a 1:7 twist it will favor bullet weights of around 70gr and up. We have a whole article on AR-15 twist rates! The twist rate article suggests it’s not bullet weight, but bullet length, yet you do what most of do….go back to bullet weight…just saying…… Longer is typically heavier, but as more bullet’s are designed and manufactured as hybrids, it may become an important distinction. Yes, technically speaking bullet length is what the determining factor is. However, the weight is normally the easiest way to differentiate between them – especially when you’re looking at standard factory loadings. 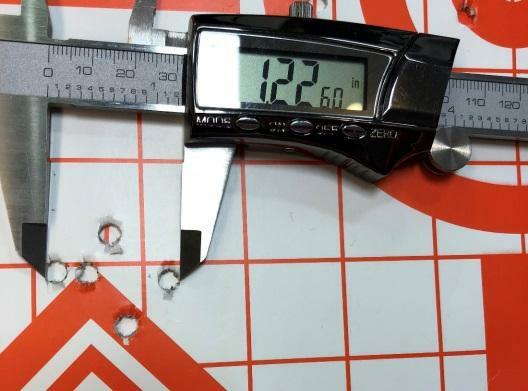 If you were handloading your ammunition then the difference between length and weight is more impactful, but even then the general standard when measuring and speaking about the bullet Vs. the twist rate is weight.